More touring, its a tough job but someone has to take one for the team. 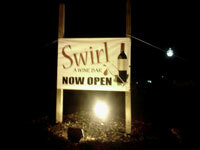 I'm up to it LOL This is a new winebar, again all in the name Swirl automatically you know what that means. 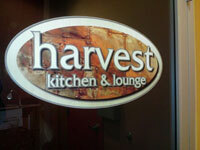 We waited here for our reservation at Harvest. It's divided in two parts a happening bar and very intimate lounge area furnished tastefully with fireplace, soft leather couches, tables for two, hardwood floor and deck, weather permitting. The menu is light apps that will hold you until your table is ready at Harvest. Thats what I call team work...You guessed it ! We will go back! Continuing on my sweet sixteen tour, here is a new resturant in Solon, Ohio I visited. 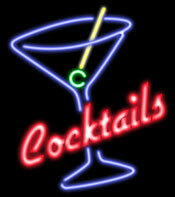 It has a great name,menu and atmosphere. I ordered a rosemary cucumber martini. It had eye appeal but I wasnt crazy about the taste combination of cucumbers and rosemary. However the food and service were quite tasty. I will certainly go here again.